Chris Cohen is a San Francisco based beer geek. He's one of just a few dozen Advanced Cicerones®, a National BJCP judge, a former contributing beer writer for SeriousEats.com and SF Chronicle, and is the founder, 2012-2014 President, and a current Board Member of the SF Homebrewers Guild, San Francisco's biggest homebrew club. He consults with bars and restaurants to help them take their beer programs to the next level and occasionally does beer pairing dinners. Chris is a former attorney. In 2016 he opened one of San Francisco's best beer bars - Old Devil Moon. Beer geeks know that any project Chris is involved with comes with excellent rare beer served with all the respect beer deserves. 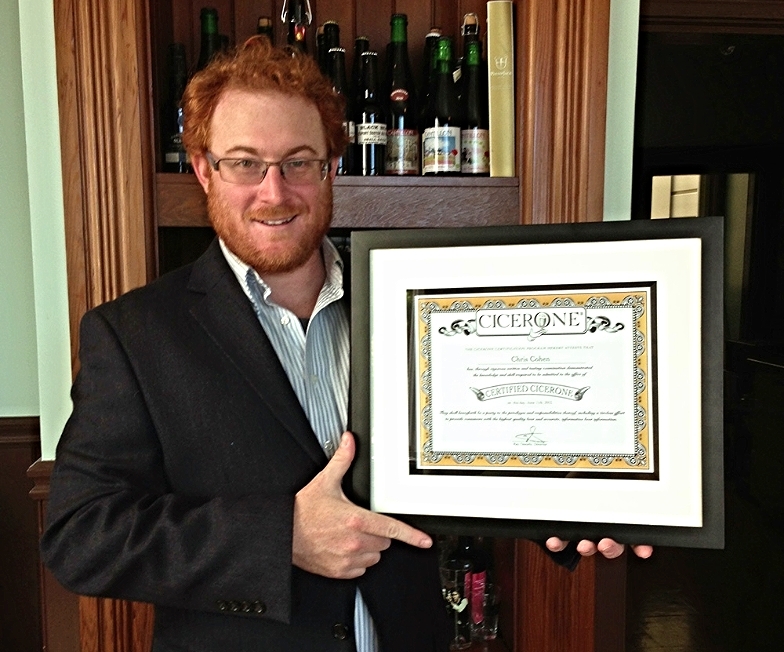 Chris applied the techniques he used to pass the NY state bar exam to passing the Certified Cicerone® exam. With his Certified Beer Server and Certified Cicerone® exam study guides, he can help you crush the Cicerone Certification Program exams, too. Get more info about and purchase the study guides here.